Zoom out a little more and the idea of what you’re playing is the adventures of a member of a Tom Clancy-branded sleeper cell of pro-government fighters who are activated after a terrorist attack to restore order, mostly with bullets. The first Division was set just after a chemical weapons attack in New York City on Black Friday. 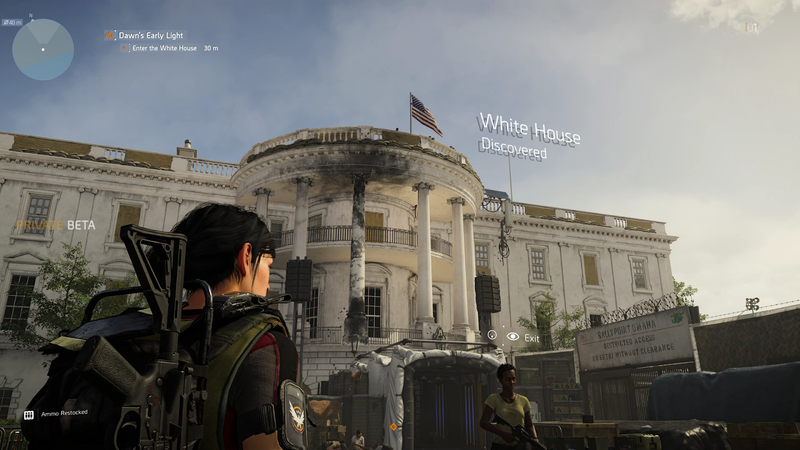 In this sequel, players are in D.C. the following summer, using the White House as a base of operations while helping civilians rebuild and resist a variety of paramilitary gangs that go by such lovely group names as Hyenas and True Sons.